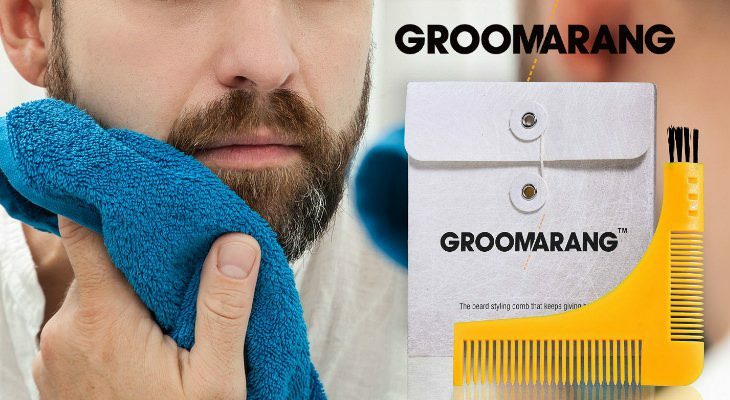 Men’s beard grooming just became a whole lot easier with the Groomarang beard styling and shaping template and comb tool. 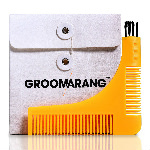 The Groomarang beard styling tool comes in a white paper case, and is made in a bright yellow-orange, durable plastic material. Instead of the usual comb shape, it’s designed in an L-shape, with a “U-shaped” curve inside. There are two different sized combs that you can choose to use. On one end of the smaller comb are four brush bristles to help in tidying up. This tool can be used forwards or backwards so there is no need to waste time. With both sized combs you’ll be able to do beard grooming of short or longer styled beards. Soon your beard will be tamed and styled effortlessly. You can also use the Groomarang to spread beard oils throughout your beard to give it a smoother and more tamed look. 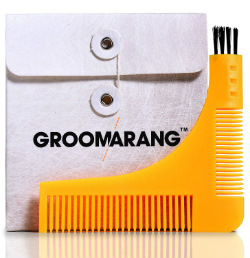 The Groomarang will easily glide through your hairs. Before you’re done, you can use the brush on the end of the Groomarang to clean up. The Groomarang is the best solution for men who have a badly shaped beard and have been puzzled how to even it up. The Groomarang will also enable men to keep fresh and up-to-date. 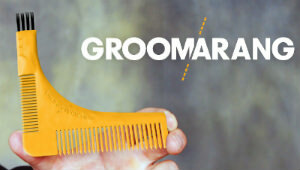 The Groomarang advertises their styling tool by saying, “The beard styling comb that keeps giving back”. With this tool, you’ll be able to shape your bead to perfection. 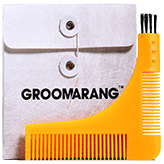 The Groomarang has won awards, and is considered the number one best beard styling and shaping template comb tool for men. It’s been Groomarang ’s goal to provide men with high quality men’s grooming care products. 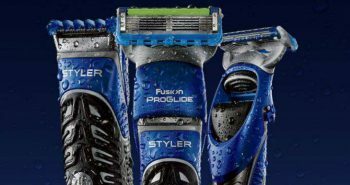 The company likes to focus on advanced technologies so that they are always leading the men’s personal care market. To use Groomarang, men can hold the U-shaped side up to their neckline. This will aid in an even trim on both sides. It can also be held up to the cheek line, jawline or goatee line on either side of the face for the same purpose. You’ll be using the inside curve of the tool to shape your neckline. Place the Groomarang where you wish your beard line to stop, then grab your men’s shaver and do your trim line. From here, you simply shave off the hair from the line you have marked out. There are also full instructions included in the package, which will help men to have the best trim possible. Groomarang has earned its place in the beard care category. 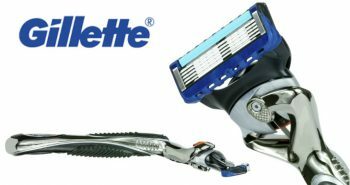 It has over 10,000 plus positive reviews to date, and is a trusted international brand. Reviews on Amazon are favourable, with 4.2 out of 5 stars. The Groomarang is priced around $15, making it an affordable purchase for every man who wishes to look his best. 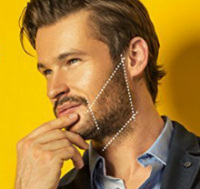 Men no longer need to do guesswork when they’re trimming their beards. They can use the Groomarang to accurately measure both sides of their face to look their best.